10 Apr 1924. Newspaper reports MM Titerud left Mon for Mpls where he will visit relatives for a short time. Well Known Ward Citizen Answers Call in Deaconess Hospital: M.M. Titrud, well known and most highly respected Ward citizen, died at the Deaconess Hospital after a lingering illness. Mr. Titrud had been failing in health since last fall. He consulted various specialists but received no relief. He finally went to the Deaconess Hospital where the end came. The deceased was one of the most honorable and squarest men that it has been our pleasure to know. He followed the golden rule throughout life and everybody who knew him held him in the highest esteem. He was a splendid neighbor, a kind and considerate friend, always ready to help where help was needed. He was careful and frugal, and he built up one of the nicest and best farms in Todd county. He came here when the country was sparsely settled and hewed this nice farm out of the wilderness. He had the taste of pioneer life, and when the better things in life came his way he was the same kind and considerate Christian man. He was a devout member of the Norwegian church, being affiliated with the Bethel Church in Ward township, being one of the founders and organizers. Truly a good Christian man has gone, and in his going an irreparable loss has been sustained by the community in which he resided. The deceased was born at Solar, Norway on October 24th, 1863, and was 60 years and 7 months old. He came to America when 22 years old and located at Minneapolis, where he resided for seven years, then coming to Todd County, locating on the old home place northeast of the village. He was married to Miss Martha Ostmoe who died in 1903. Several years later he was married to Miss Clara Blakestad, who died two years ago. He is survived by three daughters and one son, besides a brother and numerous other relatives. The funeral was held Tuesday afternoon at 2 o’clock from the old home place, and at 3:00 o’clock from the Bethel Church in Ward, with interment in the cemetery near the church. 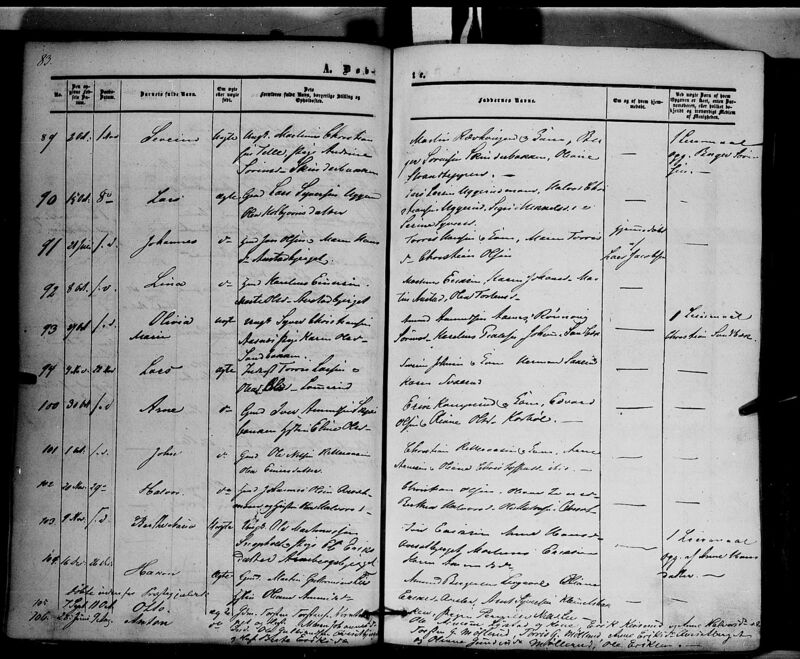 The out of town relatives present at the funeral were: Mr. and Mrs. Glen Norton; Henry Titrud and Miss Olga Titrud of Minneapolis, and Morris Titrud of Williams county, North Dakota. On Thursday, Feb 24, occurred the death of John O. Aas, a most highly respected and well known citizen of Thief River Falls, having lived here for the past 28 years. The deceased had been confined to his bed for a month, the cause of his death being cancer of the stomach. Funeral services were held from the Aas home on Saturday with only immediate relatives and friends present. Rev. Geo Larson, pastor of the Zion Lutheran Church conducted the services. Interment was made in Greenwood Cemetery. John O. Aas was born Oct. 1, 1857, in Hoff, Solor, Norway. He came to America in the month of April 1869. On Oct 1, 1882, he was married to Agnes Burtness of Grafton, N.D. The couple made their home at Grafton until 1893, when they came to Thief River Falls in the spring. Since that time he was engaged in the retail grocery and dry goods business until his retirement in the fall of 1919. He leaves to mourn his demise his wife and two children, Mrs. Henry Arhart and Mrs. Alf J. Borry of this city; also two sisters, Mrs. C.J. Hill of McIntosh and Mrs. B. Sillerude of Pelican Rapids; two brothers, Nels Aas of Pelican Rapids and Ole Aas of Grafton, N.D. and his aged mother, who resides in this city. Thor M. Berg, one of this community’s pioneers and respected citizen died at the age of 72 years at his home here Monday afternoon, Sep 2 from kidney trouble and complications. In ill health only two months, his condition was not thought serious until Saturday when he suddenly became worse. Sunday evening found him much better, but that evening he lapsed into a coma, remaining unconscious most of the time until his demise Monday afternoon. Thor M. Berg came to McIntosh in 1883 and from then until 1914 was actively engaged in farming, having homesteaded a quarter section of land south of the village. He was one of the early settlers and underwent much of the suffering and hardships common to pioneer folk of that day. Thor M. Berg was born February 7, 1857 in Solor Norway. His parents were Martin and Karen Berg. When he was 25 years old he immigrated to the United States and the first year he made his home with relatives at Manvel, North Dakota. He came to McIntosh in 1883. In 1884, he married Anne Aakhus, of McIntosh, who died in 1900. This union was blessed with seven children, four of whom are living. Always interested in the welfare of the community and his fellowmen, he assisted in organizing St. John’s Lutheran churchm, which later merged with St. Luke’s congregation in organizing the present Our Saviors church, of which he was a deacon. He also was an active worker in all temperance movements. It had always been his desire to again visit the land of his birth and upon retiring from the farm in 1914 went to Norway, returning the same year to McIntosh to make his home in the village. October 5, 1916 he married Marianne Gulbranson who that year came over from Norway. Besides his wife, three sons and one daughter survive. They are Martin of Maxbass, ND., Halvor of Fertile, August of McIntosh, and Mrs. C.G. Norness (Thea) of Northwood, ND, all of whom were here for the funeral. He is also survived by his father, Martin Berg, who was 91 years old last January, a sister, Mrs. G.S. Moen and a brother, C.M. Berg of McIntosh. Mr. Berg was a member of Our Saviors Lutheran Church, from which funeral services were held yesterday. Burial was made in St. John’s Cemetery. Business houses were closed from 1:30 until three as a mark of respect to his memory. Pall bearers were Fred Hanson, Ole Bjorgo, Peter Ostenaa, Syver Skjefferaas, Ole Moe and Gunnerius Ous, all pioneers of this community and friends of the deceased. (McIntosh Times, 1 Jun 1933, pg. 1) Aged Pioneer Laid to Rest in St. John’s Cemetery Memorial day. Funeral services were conducted Tuesday afternoon at Our Savior’s church for Martin T. Berg whose death occured Saturday at the home of his daughter, Mrs. G. B. Moen, with whom he had made his home for some time. He was 95 years old and had been ailing and confined to bed most of the time for the past two years. Rev. C.M. Westermoe, pastor of the church and Rev. A.M. Swanson of the Augustana Lutheran church officiated at the service. Honorary pallbearers were pioneer friends of the deceased. They were P.A. Bagstad, age 89 years; G. Ous, age 75; K.N. Newton , age 86; Fred Hanson, age 76; Markus Jorgenson, age 87 and O.H. Bakken, age 75. Active pallbearers were Carl Ostby, kalmer Ostby, Chester Berg, Peder Ostenaas, Oliver Ostenas and Thor Berg. Martin T. Berg, affectionately known as Grandpa Berg, was born January 28, 1838 in Grue parish, Solor Norway. His parents were Tosten Olson and Anne Svenungson. He was baptized and confirmed in Grue church and grew to manhood in Norway where he engaged in farming. While still in Norway he was married to Karen Skara and to this union eight children were born. In the spring of 1888 he came to the United States and the Thirteen Towns, to the home of his son, Thor in King township, where he arrived June 6th. He was accompanied by his wife, two daughters, Christine and Karen, and one son, Carl. For twelve years he farmed in the vicinity of McIntosh and in the spring of 1900, with his wife, moved to the village and made their home with their son and daughter-in-law, Mr. and Mrs. C.M. Berg until 1907 when they acquired their own home in south McIntosh. Mrs. Berg died in 1915 at the age of 86 years and after that Mr. Berg lived intermittently with his sons, Carl and Thor, until 1921 when he went to live with his daughter Mrs. G.S. Moen with whom he resided until the time of his death. He was a loyal member of St. John’s Church and later of Our Savior’s church, a faithful worker in the local Temperance Association, active in the Sunday school and served as custodian of St. John’s Church for 18 years. He is survived by one son, C.M. Berg and one daughter, Mrs. G.S. Moen, both of McIntosh. Four children died in Norway and two - Mrs. Gunder Aakhus and Thor Berg - in McIntosh. Other survivors include 11 grandchildren and 23 g-grandchildren. Berg, Karen. Born 22 Sep 1828 in Norway. Died 24 Jan 1915, McIntosh, Polk co, MN. 86 years old. Father, Knute Skaara; mother, Kari Gulbranson. Married, housewife. Buried St. John’s, McIntosh. Death cert: 1915-010619. (McIntosh Times, 28 Jan 1915, pg. 1). Grandma Berg passed away Sunday at ripe old age. This city and community were saddened Sunday by the death of Grandma Berg, who died at her home noon of that day. Grandma had been ailing some the last week, but it was not thought to be serious until Sunday morning when she began to fail rapidly. The Angel of Death came peacefully at the hour stated. The husband and children were at her side and she conversed and was bright until the last minute. Grandma Berg was born February 22, 1828, on Skara, Solor, Norway and at the time of her death was 86 years. She was married February 5th, 1856 to Martin Berg at Grue, Norway. Her maiden name was Karen K. Skara. The union was blessed with eight children of which three are living, Thor Berg, Mrs. G.S. Moen and C.M. Berg. Mr. and Mrs. Berg came from Norway in 1888 and lived on the farm in this vicinity until sixteen years ago when they took up their residence in this city. In the passing of Grandma Berg this city loses not only its oldest, but one of the most highly honored residents. During the many years she made her home here she won and held the esteem of all with whom she came in contact. She was always greeted as “Grandma Berg”, by which name she was familiarly known. ​The funeral services were held Wednesday from the St. John’s church, Rev. J.B. Dalae officiating and interment was made in the St. John cemetery. The last rites were attended by a large number of sorrowing friends. Among the out of town relatives who attended the funeral were Gunder Aakhus and two daughters, Karen and Anna of Bemidji; Mr. and Mrs. Olof Nesset of Thief River Falls and Mr. and Mrs. Martin Berg of Maxbass, ND. ​Hovelsrud, Lisa. Wife of Olaus, Born 5 Jan 1855, Solør, Norway. Died 23 Feb 1931, Minneapolis. Father, Ole Sjorbotten. Housewife. Age 76. Bur. Crystal Lake. Living 1912 - 8th St. S. Lived in Mpls and US for 50 years. Olaus Hovelsrud, born 30 Mar 1852 in Hedemarken, Norway. Died 6 Nov 1933, Hennepin co, MN. Age 81. Widowed. Wife, Lisa. Policeman. Lived 1912 - 8th St So. Lived in US for 52 years. Lived in Mpls 52 years. Buried Crystal Lake Cem. Deatth cert. #1933-021615. Son O.L. Hovelsrud was informant. Mrs. Ingeborg Christianson (55 years of age) died at Scarville, Iowa, Sunday (10-29-1930). She had been in poor health with heart trouble. She was born 9-24-1875 to Tollef T. and Marit Berg Qualley. Confirmed at North Prairie Church, Winnebago County, on 10-12-1890 by Rev. G. Smedal. Married there on November 15, 1900 to Olaf Christianson by Rev. A. J. Lee. Lived all of her life in Winnebago County, Iowa the last 10 years and more at the farm home near Scarville. Survived by husband and 7 children, John, Mrs. Adolph Iverson, Alfred, Irving, Tilda, Clarence and Edward, all of the Scarville community. Survived by one sister, Mrs. T. S. Brustad and 3 brothers, Tom, Alfred and Ole Qualley. Four grandchildren, Francis and Roger Christianson and Gordon and Paul Christianson. Burial: Immanuel Lutheran Cemetery. Died at Rochester, Minnesota following surgery 6-6-1921. He was born in Norway 7-5-1849 and came to the US in 1873 to Lake Mills, Winnegabo, Iowa. He married Inger Olson Hollen and they farmed in Newton Township, Winnebago, Iowa. They had 10 children, with 7 surviving: Olaf, Christ, Martin, Oscar, Evan, Joseph and Mrs. Bertha Johnson. He helped to solicit funds for the building of Salem Lutheran Church. His farm was located 1/2½ mile west of Lake Mills. Mrs. Christianson died 7-5-1915. Buried at Salem North Cemetery, Winnebago, Iowa. An obituary extraction project is underway for past and recent members and immigrants from Solor and other areas of Hedmark.